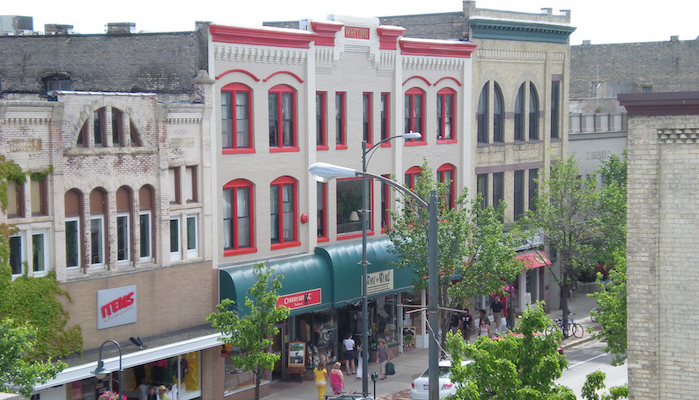 Although most downtown Traverse City runners prefer the off road TART Trail, the main drag along Front Street is a festive row of shops, restaurants, and galleries that is more than worth checking out on foot. Start out from the Slab Town neighborhood on the west side of town and head east on the wide paved sidewalks straight into the center of town. You can continue past the Railroad Ave area, but you’ll be running alongside noisy traffic for about a mile before it quiets down again. In total, Front Street is about 3.4 miles one-way, and makes for a good loop with the TART Trail, or as a connection to the Old Mission Peninsula runs. For variety, you can make your way back along on of the several streets paralleling Front St., such as E. State St.